The success of the global HIV response depends on effective HIV prevention for the 16 million people who inject drugs worldwide. Needle and syringe programmes have repeatedly been proven to prevent HIV by reducing the need to re-use or share potentially contaminated injecting equipment. However, it has been estimated that just 8% of people who inject drugs have access to these programmes – with just two needles and syringes distributed per injector per month. As a result of poor coverage, inadequate resources and paraphernalia laws in some countries that prevent people from carrying syringes, many people who inject drugs continue to use unsterile needles and syringes. An emerging body of evidence suggests that changing the types of needles and syringes that are used could massively reduce HIV transmission. The evidence is still limited to laboratory studies and mathematical models – but has shown enough promise to warrant inclusion in recent hepatitis guidance from the World Health Organization. The basic premise is this: all needles and syringes retain some fluid (i.e. blood and/or drug solution) once the plunger is fully depressed – this is known as “dead-space”. 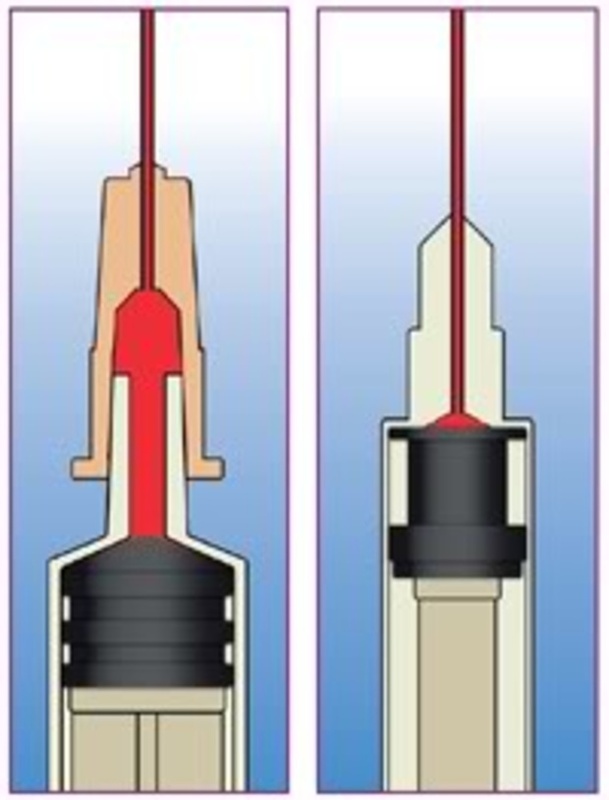 In some “high dead-space” designs, fluid is retained in the tip of the syringe, the hub of the needle and the needle shaft itself. In other “low dead-space” designs, fluid is only retained in the needle itself (see image). The difference can be 40-times less fluid in the low dead-space syringes. In laboratory experiments simulating common injection practices, low dead-space syringes retained up to 1,000 times less blood. 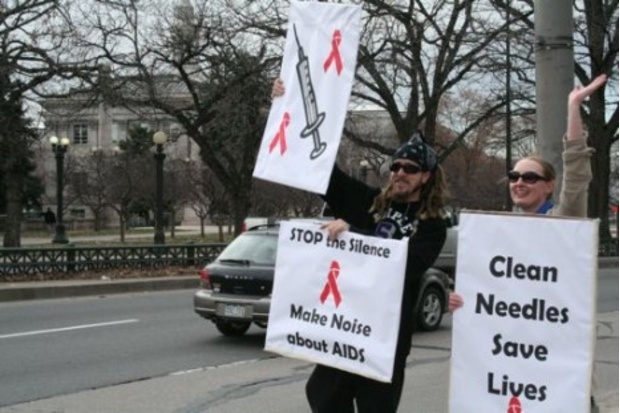 Therefore, a person who shares a low dead-space syringe is less likely to be exposed to HIV. Modelling exercises suggest that switching people who inject drugs from high dead-space to low dead-space syringes could prevent or reverse injection-related HIV epidemics. But this effect now needs to be proven in reality. Crucially, low dead-space needles and syringes tend to only be available in smaller sizes – which are no good if people need larger ones (due to the types of drugs, or where on the body they are injecting). Changing from one type of syringe to another must only be done in full consultation with people who inject drugs, and with alternative syringes still available for those who need them. At the same time, work is on-going to try and convince syringe manufacturers to make further low dead-space products and options available in the right sizes and at the right prices. But this is one area of research to watch closely – a potential game changer for harm reduction efforts in many countries. The developments to date have been excellently summarised in a newly published article by Dr William Zule and colleagues – available here (subscriptions may be needed) – and further work is planned to determine exactly what impact this relatively simple intervention has on the ground.